Vicarage Lane in Chalk is so called from the Vicarage that was built in 1870 and stood on the east side. It was demolished about 1966-67 and a small estate and new vicarage were built on the site. The first known site of a vicarage was in the village centre in what is now Lower Higham road. This was a very basic timber framed building with thatched roof, which by the 18th century was no longer considered a suitable location for the vicar. The cottage was lived in by the parish clerk and from about 1847 - 1866 it housed the Chalk National School. There is an illustration and description of this cottage as it looked in 1822. In 1870 the Reverend William Joynes spent £1135 on building a new vicarage in extensive grounds - the site was given by the Earl of Darnley. 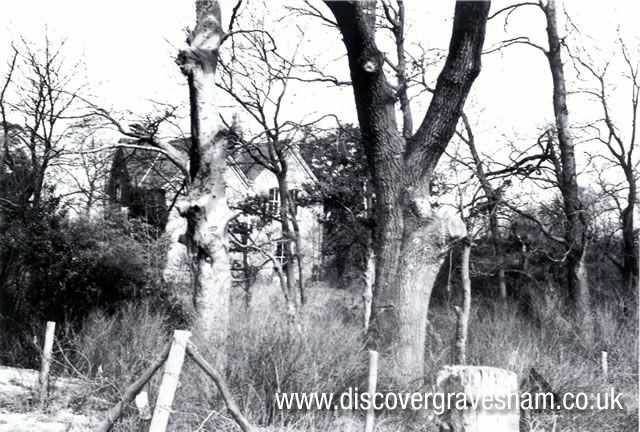 In 1966 the present vicarage was built in the grounds and the old one demolished and replaced by a small housing development called Priests Walk.